Under the bubbling hot springs and geysers of Yellowstone National Park is a supervolcano. Most people don't know it's there. The caldera is so large that it can only be seen from a plane or satellite. It just could be overdue for an eruption, which would change the landscape and climate of our planet. For Alex, being left alone for the weekend means having the freedom to play computer games and hang out with his friends without hassle from his mother. Then the Yellowstone supervolcano erupts, plunging his hometown into a nightmare of darkness, ash, and violence. Alex begins a harrowing trek to seach for his family and finds help in Darla, a travel partner he meets along the way. Together they must find the strength and skills to survive and outlast an epic disaster. Mike Mullin first discovered he could make money writing in sixth grade. His teacher, Mrs. Brannon, occasionally paid students for using unusual words. Mullin's first sale as a writer earned ten cents for one word: tenacious. Since then, he has always been involved with literature. One of his early jobs was shelving books at Central Library in Indianapolis. Later, he paid his way through graduate school in part by serving as a reference assistant. Mullin has worked in his mother's business, Kids Ink Children's Bookstore, for more than twenty years, serving at various times as a store manager, buyer, school and library salesperson, and marketing consultant. He wrote his first novel in elementary school - Captain Poopy's Sewer Adventures. He's been writing more or less nonstop ever since, but fortunately for his readers, Ashfall will be his first published novel. He holds a black belt in Songahm Taekwondo. He lives in Indianapolis with his wife and her three cats. 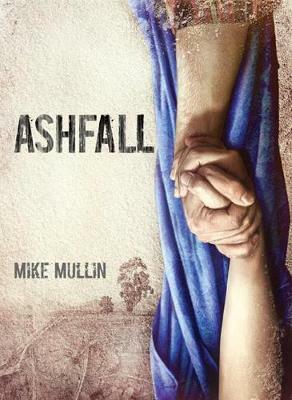 Visit www.mikemullinauthor.com for more info about the author and Ashfall and its sequel, Ashen Winter.